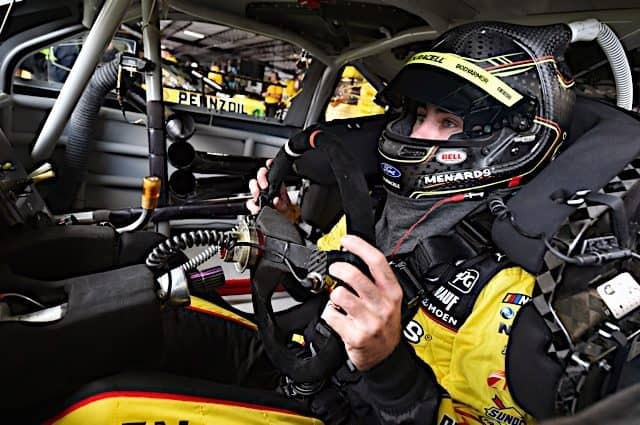 Prior to the 2018 season kicking off at Daytona International Speedway, expectations were high for Ryan Blaney, who moved over to Team Penske after his first two seasons in the Monster Energy NASCAR Cup Series were spent with the Wood Brothers. The No. 12 team got off to a hot start. Blaney led a race-high 118 laps in the Daytona 500, en route to a seventh-place finish. In fact, the No. 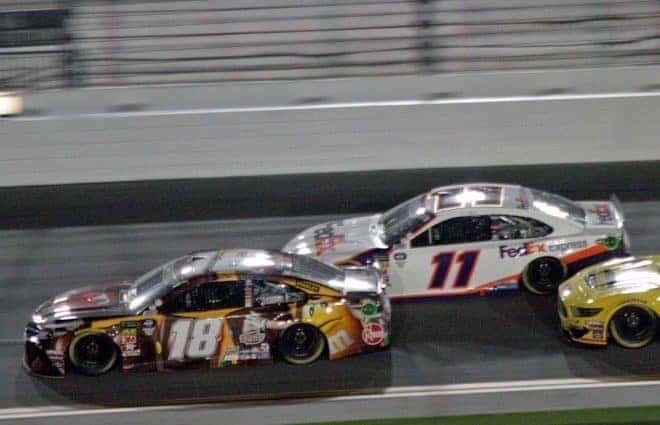 12 team had five top-10 finishes in the opening six races but since then has been a little inconsistent with just seven top 10s over the last 20 races. 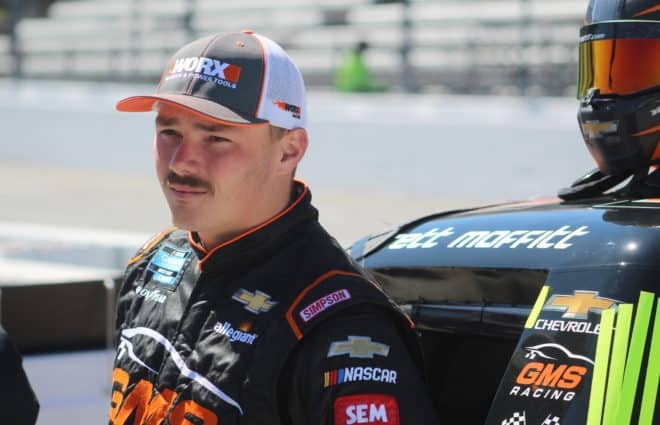 However, Blaney locked himself into the playoffs with one race to spare in the regular season with a 15th-place finish at Darlington Raceway. 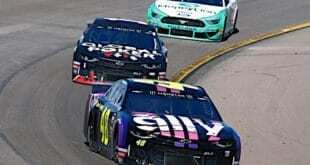 When the postseason begins this weekend at Las Vegas Motor Speedway, the No. 12 team will be re-seeded ninth, with seven playoff points. At Indianapolis Motor Speedway, Blaney talked to Fronstretch about what the No. 12 team needs to work on heading into the playoffs, flying under the radar and postseason expectations. Dustin Albino, Fronstretch: How would you assess 2018? Ryan Blaney: There have been some ups and downs. At times I’ve thought we’ve been really good and we’ve had a shot to win a few of them and it just hasn’t worked out. There are a handful of races that I wish I could have back and make different choices or have it played out differently. We’ve also had some wrecks this year, some parts breaking – things you wish you could have back. I think it’s been a good year for us as far as speed-wise, and the team working really well together. They are a great group of guys, and I think it’s been a good first year to run with the [No.] 12 group. Even though it’s pretty much the group I worked with last year, hopefully, we can get all that bad luck out of the way before the playoffs. 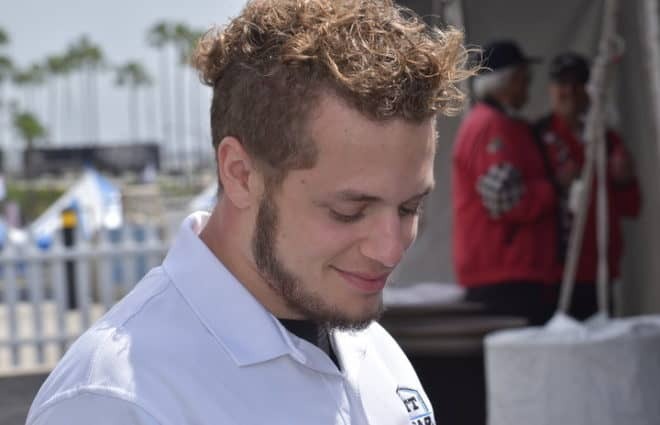 I think we have the potential to run well the next 10 weeks, it’s just a matter of cleaning some stuff up on my side, getting our cars a little faster, just making everything a little better. I’m pretty happy with the year so far, it’s been a lot of fun. Albino: You got off to a hot start, led a ton of laps in Daytona, five top 10s in the first six races. What would you say the bright spot of your season has been? Blaney: We started off the year really strong. We were really fast out of the gate and I thought our cars were in contention to win races. I think the way we work together as a team has been really good. There are some spots we can get better, but I think the bright spots are knowing we have decent speed. You obviously need to be better because we haven’t been to Victory Lane yet this year, but just the potential this team has is pretty large. It’s all about maximizing that potential and I think we will be right there in the hunt. Albino: Do you feel like you’ve been inconsistent this year? Blaney: A little bit. I wouldn’t saying running inconsistent as far as our speed being inconsistent. I think it’s inconsistent as far as some finishes, whether it’s me making mistakes and wrecking or some parts failing. There are some races we’re off and that makes it kind of tough, but I feel like we’ve been pretty consistent with the speed in our cars, but it’s just cleaning up some things on my side that will make us a little bit more consistent finishing. Albino: You mentioned on the Frontstretch Podcast recently Team Penske needs to find speed. How much of that speed have you found? Blaney: Yeah, obviously you always need more speed. We’re not winning races like the [Nos.] 4, 18 and 78. I think we’ve found a little bit. 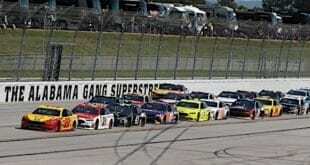 I think the team found a big chunk at Darlington when Brad [Keselowski] and Joey [Logano] finished first and second. We struggled that race, and all we could do was finish 15, which is unfortunate. Bristol was before that, and I thought that was a big gain. We led a bunch of laps there. I think we’re gaining on it and getting there, and hopefully, we’re gaining in time for the playoffs. Trying to start off at Las Vegas is really big, so hopefully, we close the gap a little bit. Albino: With them winning, how much additional pressure is on you to win? Blaney: None really. You obviously want to be a part of the group of teammates that are winning. We just kind of focus on our deal. I was really happy for Brad and that team. 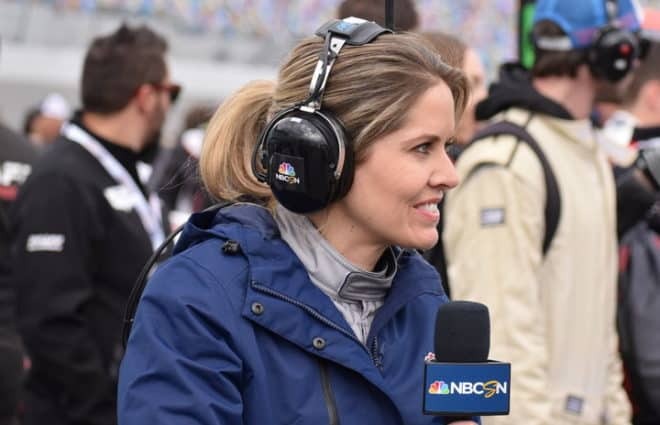 I do want to be a part of that group of winners at Team Penske, and I want to put that [No.] 12 car back in Victory Lane, that would be super cool. And to win a Cup race for Roger Penske, that would be really neat. It doesn’t make me jealous or anything like that, you just work a little bit harder and try to figure out ways to beat those guys. 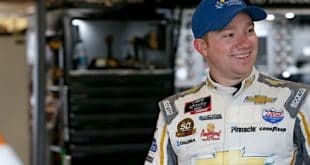 Albino: Brad said after the win at Darlington he expected to run fifth to 10th, so do you feel like you’re lacking that much speed compared to the front few drivers? Blaney: I think he said that just because of where they were in practice. Honestly, I thought we were the best car out of our group in practice on Friday and I was really confident going into the race. On Saturday we didn’t qualify good, and in the race, we ran bad the whole race, while those two cars ran really good the whole race. I think that’s why he said that just because their Friday wasn’t the best. They made great adjustments for the race and it paid off for them. Albino: What’s one thing the No. 12 team needs to work on going into the playoffs? Blaney: Being consistent, for sure. You look at trying to get past this first round. This first round is really different from what it’s ever been. All three races are new. At Las Vegas, we ran really good at earlier this year. Richmond is a place that we’ve struggled at in the past. 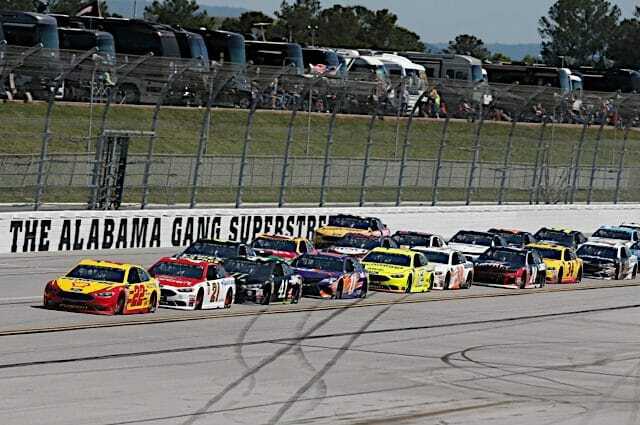 We had a two-day test there a couple weeks ago that I thought went really well, and hopefully learned some stuff for there so we can have a consistent run. I don’t know what the hell is going to happen at the ROVAL. I really don’t. It’s just a matter of not putting yourself in a bad spot leading up into that race and then not getting into a mess during that race. 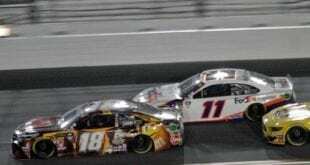 Hopefully, we can run really well in the first two so that we have a little cushion to where we don’t have to go all out and have to win the ROVAL. Obviously, that’s the goal, but there’s so much up in the air with that race and you don’t really know what’s going to happen. I think just surviving the first round and then there’s some good tracks for us after that, that I think we can go and hopefully run well at. Albino: You tested the ROVAL in the middle of July, right? Blaney: I did, yeah. I wrecked. After a couple hours that place is tough. I think just about everyone wrecked when we tested there just because it’s so different and a technical racetrack. It’s really slippery if you get out of the groove by just a few inches. It was nice to test there, but I know everyone has. They had that couple open-day tests, and that was really nice to do. They were still changing the curbs when we were there, so we will see where they end up with the curbs and rumble strips. The chicane on the backstretch — I know they were changing some stuff up, so we will see what they come up with over the next couple weeks. Albino: How does the way you’ve come into the playoffs this year compare to last year when you already had a victory? Blaney: My mindset isn’t much different at all. At the end of the day, it’s just racing. It’s really no different from what we try to do all year; win stages, get good stage points and go win races. That’s what you want to do all throughout the year, and that’s what the playoffs are. That’s what will move you on. I think if you overthink it, you’re kind of behind and can psych yourself out if you over process the deal. We will just go approach it like we have every other week and see what happens. Albino: Do you feel like the No. 12 team is floating under the radar going into the playoffs? Blaney: A little bit, and I don’t really mind that. We did that last year and made it to the Round of 8, close to making it to the final round. I’ve always been an under the radar person, that’s kind of been my style and I don’t mind having us labeled that way. Albino: Last year you made it to the third round and were eliminated after Phoenix. How realistic is that this year? Blaney: The goal is the championship. I don’t want to settle. It would be disappointing to not make the championship race. We were disappointed last year when we didn’t make it. We didn’t exceed our expectations last year. We didn’t get to the Round of 8 and I was like ‘oh man, we’re in the Round of 8, that’s way better than I thought was going to happen.’ We expected to go to Homestead last year and have a shot at it, and the same this year. We will be disappointed if we don’t make it Homestead, so we’ll try our best and see what happens. I think the best thing we can do is worry about ourselves and try to focus on our car, our race team. I think that’s when we’re the best when we focus on the things we can do and control. Hopefully, the things we can control will be the right things and lead us throughout the rounds and hopefully to Homestead.